An album that literally possesses something for the whole family. an album that literally possesses something for the whole family. Picture a CD that is full of energy that will make you dance, invoke laughter, and inspire you to reflect, believe, and to dream again. 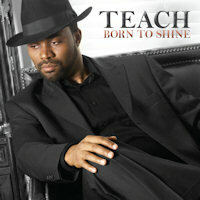 This project by Timothy “TEACH” Jones, “Born To Shine”, contains all of the ingredients of a timeless classic that will be enjoyed by many for years and years to come!